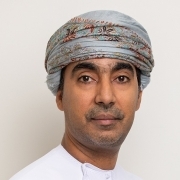 Muscat, February 27, 2019: Following the successful conclusion of the second edition of the ‘Leadership Enhancement And Development’ (LEAD) programme, Oman Arab Bank (OAB) has announced the names of the 20 Omani staff who will make the third cohort of this future LEAD 3 programme. As part of the assessment centre process, all LEAD candidates were required to complete an online 360 degree evaluation and the shortlisted candidates were then invited to attend an internal interview. The interview was attended by several members of the senior management team and selected LEAD graduates. The 20 that were shortlisted were then also required to complete the online Strength Deployment Inventory (SDI) survey. The first module of LEAD 3, which was conducted over the course of two days, from February 12 – 13, focused on studying the individual results of these assessments in the context of self-awareness. LEAD 3 highlights the importance of Artificial Intelligence (AI) and how it is applied in the banking sector. Apart from the scheduled modular sessions, LEAD delegates will be exposed to practical trainings as part of post LEAD activities, including managing projects of their choice. “We believe that having a skilled, talented, and motivated workforce is the key to success in such a competitive market. And it is just as important to have a team of highly qualified leaders to guide them. This is why we developed and introduced our LEAD programme. Over the course of the next six months, each of the delegates will see their leadership skills and behaviours enhanced to an entirely new level. They will also have the opportunity to learn from some of the best experts in leadership development, ensuring career development and growth for years to come,” Adil added. As with the previous LEAD programmes, LEAD 3 will be delivered in 4 x 2-day and 1 x 3-day modules spread across five months between February 2019 and June 2019. Each module will involve experiential learning as its principle methodology. There will also be two Socialisation Workshops; the first of which will be conducted before Module 1, while the second will take place after Module 2. In between modules 3 and 4, the 20 delegates will be split into four groups of five each and will be challenged with business project topics of keen interest to OAB. LEAD is a unique and specialised leadership development program that aims to cultivate the talents of high potential Omanis with guidance from internationally renowned experts. The six-month programme has been designed to utilise best practices in order to empower participants with opportunity, managerial expertise, and high-level workplace solutions. The ‘LEAD’ programme has been designed in cooperation with Inspirational Development Group (IDG) and is facilitated by a team from IDG, a globally renowned leadership and management performance consultancy. The company has channelled its long history of experience delivering high-quality and intensive work programmes to some of the most prestigious organisations in the world. Closely affiliated with the Royal Military Academy Sandhurst, IDG has worked with some of the most important public and private sector companies in the region from its Middle East office based in Muscat. Oman Arab Bank is proud to have achieved the highest Omanisation percentage within the banking sector, nearing 96%. It is also one of the first banks to be established in Oman with a rich and proud history. Today, the bank operates a nationwide network of 65 branches and representative offices and 152 ATMs spread across the Sultanate. OAB also provides a complete range of financial products and services for personal banking, corporate, and investment clients. 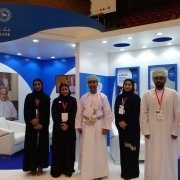 Muscat, March 6, 2019: Oman Arab Bank (OAB) recently participated in the Career and Training Opportunities Fair at Sultan Qaboos University (SQU) this week. The fair opened under the auspices of Sayyid Saud bin Hilal al Busaidi, Minister of State and Governor of Muscat, at the SQU cultural centre. Hosted by the Centre for Career Guidance at SQU, 55 institutions took part in this year’s fair. In an effort to nurture Omani talent with workplace skills and experience before they graduate, OAB set up a booth at the fair, which was held from March 4 to 6. Human Resources representatives from OAB shared insight on career development opportunities and training programmes at OAB that are aimed at students. “Our booth at the careers fair was aimed at encouraging students to ask questions and learn about the banking sector and the stepping stones required to develop their careers beyond job applications. OAB has developed a number of key initiatives catered towards enhancing practical skills and talent development, such as The Innovation Hub by OAB, Leadership Enhancement and Development Programme (LEAD), and the graduate training programme,” Al Rahbi said. OAB recently held the first edition of the Innovation Hub, which saw a team of students create a prototype showcasing an innovative banking solution within 24-hours. This year’s Innovation Hub included more than 150 students taking part in the Students Challenge, where prototypes were developed under the themes of ‘banking for millennials’, ‘superior customer experience’, ‘digital economy and payments’, as well as an additional open category. OAB continues to host several other training initiatives to assist students preparing for numerous career trajectories in banking; such as the graduate training programme at the OAB training centre every year. Oman Arab Bank is one of the first banks to be established in Oman, with a rich and proud history. Today, the bank operates a nationwide network of 65 branches and representative offices and 150 ATMs spread across the Sultanate. OAB provides the complete range of financial products and services for personal banking, corporate and investment clients. Muscat, February 19, 2019: Following the launch of its new savings scheme last month, Oman Arab Bank (OAB), has announced now announced the names of the first 119 Hasaad winners for the year 2019. These include 87 winners of the monthly branch draws of OMR 500 each, ten winners from the Bank’s Children’s account and 20 from the Bank’s Youth Holders of OMR 100 each, and two winners of the monthly Elite Draw of OMR 10,000 each. Muscat, February 11, 2019: As part of its efforts to enable young Omanis to start their careers in the banking sector, Oman Arab Bank (OAB), in collaboration with the Ministry of Manpower, organised a series of job interviews for citizens at the OAB Head Office. The shortlisted interviewees will soon be joining the Bank’s team to fill vacancies within its branches in the Sharqiya Governorate. It is worth noting that several job interviews were conducted by members from the Human Resources and Retail Banking Divisions. Shortly thereafter a number of candidates were shortlisted to fill retail banking vacancies within the Bank’s branches in the Sharqiya Governorate. The new joiners are expected to begin working in the new positions with the next couple of days. Muscat, January 20, 2018: Oman Arab Bank (OAB), has launched a new account to help youth manage their money effectively and encourage active savings from an early age. OAB’s Youth Account has been designed specifically for students between the ages of 18 to 24. It offers free mobile data, together with special discounts at numerous participating merchants across the country. In partnership with Omantel, the Youth account comes with exclusive benefits, including up to 24GB of free mobile data annually. The free data is available to Youth account holders simply by maintaining a minimum monthly saving of OMR 200. In addition, all Youth account holders are also eligible to participate in the special youth draws as part of the Hasaad Savings Scheme Draws, by meeting the required minimum monthly balance for each draw. Building on the bank’s commitment to enhancing its customers’ banking experience across all its customer touchpoints; OAB has simplified the account opening journey by issuing instant and personalised Debit Cards for youth account holders at 30 branches across the Sultanate. OAB Youth Account holders will also have exclusive access to key social and sports events across the country and will enjoy an enhanced digital banking experience as part of the second phase of the launch later this year. Muscat, December 23, 2018: As part of its constant endeavour to support the growth and skills development of its staff, Oman Arab Bank (OAB) recently saw three members of its senior management attend a three-day specialised management course in Dubai. 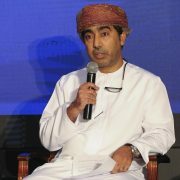 The training program titled ‘Leading People in Organisations’, organised by the Wharton International Business School of the University of Pennsylvania and attended by Khalid Al Barwani, Head of Large Corporate at Corporate Institutional Banking, Ahmed Al Kharusi, Head of Branches Support Department at Retail Banking Group, and Mahfoudh Al Rawahi, Head of Central Operations. Taught by two of Wharton Executive Education’s most esteemed faculty, ‘Leading People in Organisations’ is a program that combines different educational approaches to provide an in-depth understanding of the importance of talent development to organisational success. The program was focused on five major areas of interest understanding each person’s individual leadership style, managing conflict, performance management, motivation and retention, talent management, and managing in social networks. The program ensured ample time with faculty allowing the participants to acquire and fine-tune new tools and approaches, and become part of a learning community of highly experienced executives that can continue throughout their career. Organised by Wharton International Business School, ‘Leading People in Organisations’ is designed to identifying participants’ current leadership strengths and enhance them with cutting-edge tools and approaches, provide them with a unique opportunity to take their leadership to the next level. Oman Arab Bank is proud to have achieved the highest Omanisation percentage within the banking sector, nearing 96%. It is also one of the first banks to be established in Oman with a rich and proud history. Today, the bank operates a nationwide network of 65 branches and representative offices and 150 ATMs spread across the Sultanate. OAB also provides a complete range of financial products and services for personal banking, corporate, and investment clients. 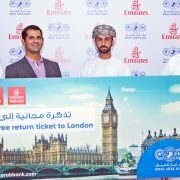 Muscat, December 06, 2018: Oman Arab Bank (OAB) together with Emirates Airline conducted a draw where 12 lucky customers won a free round trip flight to London with Emirates. The draw was conducted as part of an exclusive partnership between Oman Arab Bank (OAB) and Emirates Airline earlier in the year; wherein customers would enjoy exclusive discount offerings on online ticket purchases and Emirates Holidays packages. Furthermore, as part of the offer, any customer who applied for a new OAB Credit Card between May 01 and July 31, 2018, were entered into this exclusive draw. The draw to pick the 12 lucky winners was recently conducted at the Bank’s Headquarters in Ghubra, and was attended by Rashad Al Shaikh, DGM – Retail Banking at OAB and Saeed bin Hafez, Emirates Country Manager Oman, together with other members of management and staff from both companies. Aside from the draw, all existing OAB customers who used their OAB cards to purchase Emirates tickets online at emirates.com/om/oab, between May 01 and July 31, 2018, received up to 10% discount on annual and promotional fares. In addition, OAB customers can still avail of a 10% discount on Emirates Holidays packages purchased and used before December 31, 2018. 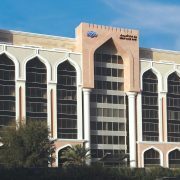 Customers are required to use their OAB cards to purchase the packages online at www.emiratesholidays.com/om_en/pages/oab. 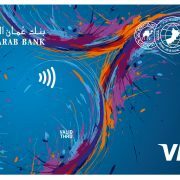 OAB offers a range of VISA Credit Cards comprising of VISA Internet, Classic, Gold, Platinum, and Infinite; each of which come with a range of benefits including high credit limits, flexible repayment options, complementary airport lounge access, insurance options, and much more depending on the type of card issued. However, all cards benefit from OAB’s reward points – a comprehensive loyalty program from for the Bank’s Credit Card members offering an array of privileges. It has been designed to keep each customer’s unique lifestyle needs in mind and is amongst the most rewarding value additions to any OAB card holder. Whether it is travelling, staying in a resort, dining out, or shopping for business or pleasure, the OAB Rewards gives each customer more of what they enjoy. Emirates operates three daily flights from Muscat to over 150 global destinations via its hub in Dubai. Onboard, passengers can look forward to world-class in-flight menus and the award-winning ice system with up to 3,500 channels of entertainment.